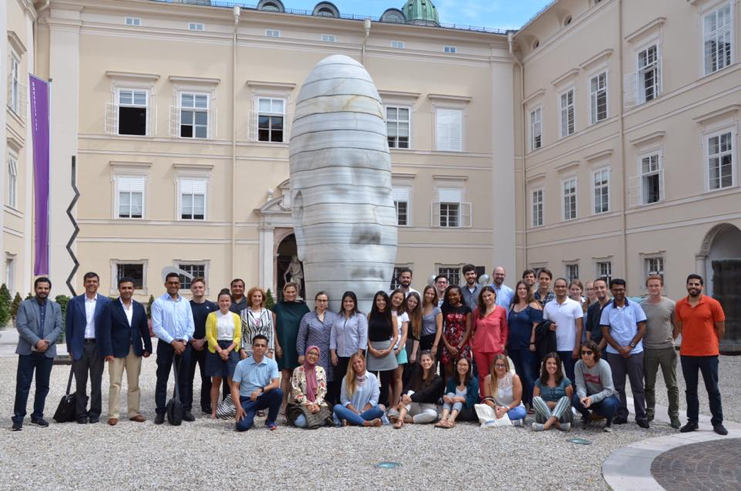 SLS 2018 participants, Salzburg, Austria. 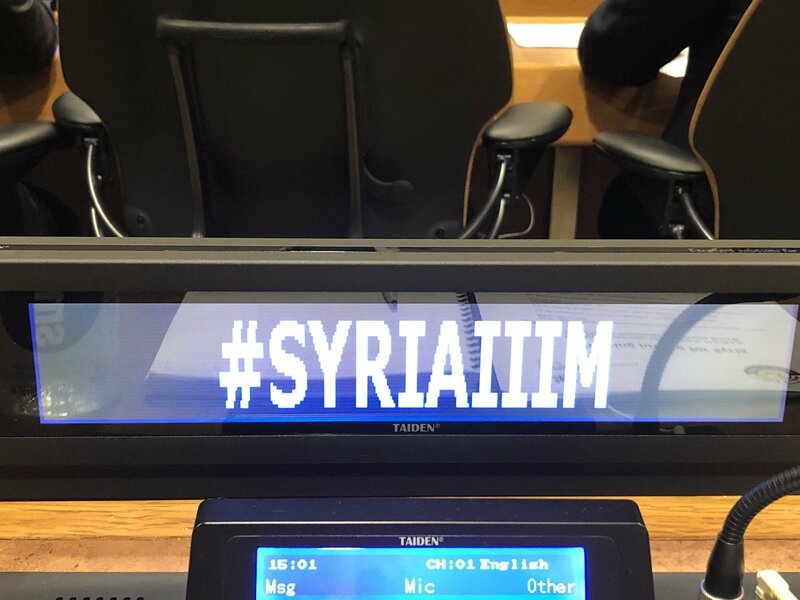 Deputy Head of the novel Syria Mechanism [International Impartial and Independent Mechanism or IIIM], Michelle Jarvis, provided us with her thoughtful insights on why the UN General Assembly’s created the IIIM in 2016. Neither a prosecutor’s office nor a court, IIIM is mandated to collect and analyse evidence; and to build case files for national, regional and international courts that may gain jurisdiction over these crimes. Jarvis characterises the IIIM as ‘a response to ongoing blockages and limitations of the pre-existing international criminal justice framework’, such as its selectivity, the absence of universal ratification of the Rome statute and political impasses in the Security Council. Looking ahead, Jarvis says the unique nature of the IIIM is ‘a response to lessons learned in the practice of international criminal justice over the past 25 years.’ It gives life to universal (or extra-territorial) jurisdiction. She says it demonstrates ‘the value of an integrated justice framework from the outset and the role of an international body in facilitating the work of actors at the national level.’ For Jarvis, the IIIM is a strong and innovative model which offers a comprehensive central repository of evidentiary material on crimes in Syria, structural investigations, the ability to transfer IIIM-built case files and proactive strategies to address sexual and gender-based violence and crimes against children. Deputy Head of the Belgian Central Authority for Cooperation with the ICC and other international criminal tribunals Julie de Hults gave us an informative update on the Belgium et al initiative for a new treaty of mutual legal assistance for core crimes, which has gathered the support of 60 states. De Hults explained how there is a legal gap in international criminal justice – while mutual legal assistance is essential for effective prosecutions, existing treaties are insufficient in number, incomplete and unsatisfactory since many have outdated content which has not been adapted to the times. Senior Legal Advisor, ICC Pre-Trial Division Gilbert Bitti discussed a revolutionary aspect of the Rome Statute: for the first time in history, States give an International Criminal Court the authority to choose a situation. Before the ICC was established, this was always decided by a political body. Now, under Article 53 of the Statute, the Prosecutor must, after evaluating the available information, initiate an investigation unless he or she determines that there is no reasonable basis to proceed. Bitti explained the novelty of Article 53 in the history of international criminal justice where the Prosecutor’s decisions, especially the negative ones, were usually not subject to any criteria or judicial scrutiny contrary to what is now provided for in Article 53. He explained that States during the negotiations of the Rome Statute were reluctant to give too much discretion to the Prosecutor and therefore created a regime very different from the one existing at the ad hoc tribunals. He also insisted on the fact that the Prosecutor was prolonging preliminary examinations contrary to the jurisprudence of Pre-Trial Chambers and the ordinary meaning of the Statute. There was a need for the Prosecutor to be able to start quickly investigations in order to avoid evidence being lost and to give access to justice to victims. Legal Officer, ICC Pre-Trial and Trial Divisions Eleni Chaitidou gave a lecture on the principle of complementarity in the ICC practice and the ambulatory nature of admissibility throughout the proceedings, both at the situation and case level. She also presented an overview of how the quality of national investigations and prosecutions of States challenging the admissibility on the basis of complementarity has been assessed by the ICC hitherto. In the workshop on ICC jurisprudence, Chaitidou provided food for thought on the 2018 ICC appeals judgement in which Bemba was acquitted. 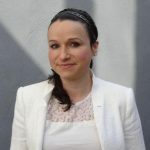 She addressed the issue of the applicable standard of review in appellate proceedings and the specificity of charges, in particular the possible implications for the Prosecutor’s investigation and the Pre-Trial Chamber’s filter function. Lastly, she discussed the requirement of necessary and reasonable measures to be taken by a commander in his or her power to prevent or repress the commission of core crimes and to what extent the physical remoteness of the commander may impact this assessment. Professor Susan Lamb, Visiting Professor, Faculdade Direito, Universidade NOVA de Lisboa, Lisbon, developed the topic of prosecutions of atrocities committed in Syria (and Iraq). She spoke about the challenges for accountability, and how national, territorial as well as extraterritorial, jurisdictions are helping narrow the impunity gap. Novel evidence collection techniques are being introduced in the field and crimes are being adjudicated through extraterritorial and universal jurisdiction trials. But, what are their limitations? And how may non-governmental players contribute in the collection of evidence? In a second intervention, Professor Lamb offered a critical assessment of the proposed UN International Law Commission draft Convention on Crimes against Humanity. “There are at least two major challenges ahead of us if we wish to reinvigorate the international criminal justice project. By far the biggest is the outmoded fetish of national sovereignty. The ICC is fundamentally only as powerful as its member states permit it to be, and all too often, it is constrained by power politics and unwillingness to engage with the court,” explained Professor Lamb. “Until the realisation that international justice is necessary and necessary for all, and until this realisation is reflected in actual law and policy on the ground, the project will never be a genuinely universal undertaking. And on this score, I see more hope among grassroots organisations than within governments, in the main. That said, none of this should absolve us of our responsibility to be better and to improve the calibre of leadership and governance among international criminal justice institutions – whether public institutions or the new rash of so-called ‘privatised’ initiatives in this area,” Lamb added. Professor Suzannah Linton, Distinguished Professor, International Law Department, Zhejiang Gongshang University, China, gave an eye-opening presentation on the little-known 2,300 national proceedings against 5,700 persons in the Asia-Pacific region after World War II, and how these cases are striking evidence that ICL is not an innovation of the ‘West’ imposed upon the ‘East’. Rather, accountability for crimes under international law is intrinsically linked to legal traditions in Asia. “The dialogue on international justice needs to become more diverse and global. There are some areas of the world that genuinely resent what they see as the ‘West’ claiming the moral high ground, when they themselves have fallen short. They ask about the absences from the court’s scrutiny. Some also have a perception of Hague justice as being ‘Western’, and see elements of neo-colonialism. We need to address that; and we do not do that by pretending that all is well at the ICC and making all kinds of extravagant claims about its achievements let alone those of the ad hoc tribunals,” warned Professor Linton. “Dismissing this as mere ‘cultural relativism’ will just confirm the suspicions and alienate those critics even further. One way to connect is to recognise that efforts have been and are made in other parts of the world to address atrocities, outside of the framework of the International Criminal Court. This is not something externally imposed. We can build on this. Education in a context that facilitates open and respectful dialogue and reflection with experts, such as that provided by the SLS for 20 years, is vital in that effort,” she declared. Franziska Eckelmans Legal Counsel, Kosovo Specialist Chambers, walked participants through the elements of a hybrid court, such as how they are established and financed, their application of international and national substantial and procedural law and mixed levels of local and international staffing. Eckelmans gave an overview of the ‘new kid on the block’, the Kosovo Specialist Chambers, including its origin, character and how it functions. In another lecture, she told us about the trial against Hissène Habré before the Extraordinary African Chambers in Senegal, and how this historic trial is a catalyst for international criminal justice in the region.